This study is aim to investigate the transition and inertia phenomena of roles which users played in P2P systems. 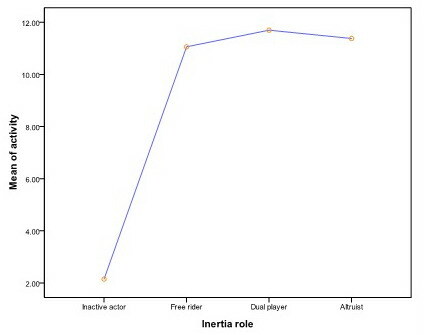 Some users tend to change their behaviors frequently (role transition), while others are more likely to keep one role over the time (role inertia). In P2P systems, users can download from others, and be downloaded by others freely if they are online. However, the patterns of download behaviors are very different from user to user. Some of them are more inclined to be free riders who just download from others but don’t let others download from them; some of them are more inclined to be altruist who just let others download from them but don’t download from others. In terms of the behavior of download and being downloaded, I define 4 kinds of roles in P2P. They are: 1) Inactive actor: those who did not upload and download in the month; 2) Free rider: those who downloaded in the month without any uploading; 3) Dual player: those who both uploaded and downloaded in the month; 4) Altruist: those who only uploaded in the month. I employ this classification to examine the transition and inertia behaviors in P2P systems, and why certain users behave in certain way. The data of this study is collected from a P2P system in China from October 2008 to December 2009 (15 months). 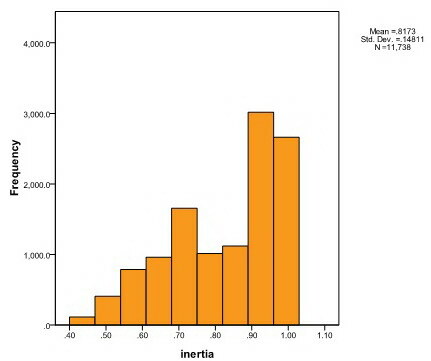 Only the users registered in October 2008 are used for cohort analysis (N=11,738). The role transition is time dependent, which means the future roles users played are determined by the present roles (first order) and the past roles (second order). However, this process is not stationary, the transition rates is time variant. 2. 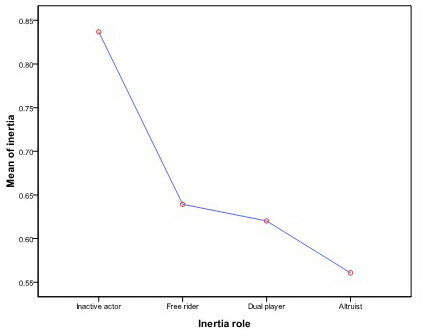 The distribution of role inertia. 3. 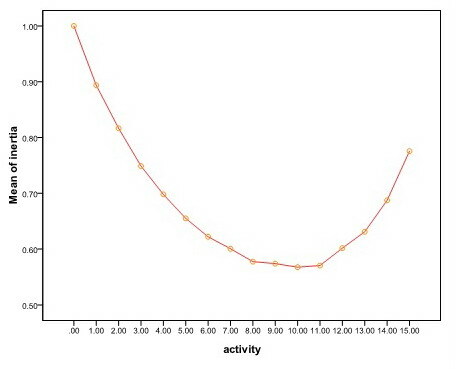 The relationship between active duration and role inertia. 4. The relationship between inertia role and active duration and role inertia.